With both teams suffering recent heavy defeats and tumbling down the table at a time when both are seeking Play-off Championship places, they knew that one of them would be encouraged and strive for that elusive place and hopefully home advantage in this most competitive of leagues where 4 games finished within 2 points of each other the night before. The ever improving American A J Carr hit a treble, had a tip in and stroked one free throw in the opening minutes though Dragons stirred up some fire to level on 8 points each. Rockets had worked all week on their defence as identified as ‘ not up to standard ‘ by Head Coach Alan Keane after recent losses. , and how that showed as they pressurised Dragons from tip to buzzer. 16 yo David Chive hit a treble, took an assist from Sydney Donaldson to make another 3 point play before Tanner Kuehn hit a step back treble to see Rockets lead 21-15 at the first break. Chive was quickly out of the traps as he made a steal, went coast to coast and scored with the opening offensive of period two before he sent an assist to Kuehn to score and give Rockets a double digit lead at 25-15, something they were to extend significantly as they cruised the quarter 33-13 having a 54-28 lead at the interval. Both Carr and Arinze Emeka-Anyakwo hit wide trebles and Kuehn sent an exquisite bounce pass to his captain Danny Carter to score with a slam dunk. When Donaldson went off the glass Rockets enjoyed a twenty point advantage and then Chive hit another treble this time from the top of the key. Dragons had been stirred during the interval as Ricky Fetske stroked three consecutive trebles though Donaldson, Chive and Carr replied for Rockets but Dragons took the quarter 25-19 reducing Rockets lead to 73-53 despite a big Carr rejection and a Carter spin fake score. The fourth quarter saw Rockets imperious from beyond the arc as they stroked five trebles in a 27-7 final push as they secured a key 100-60 victory. Nine of Rockets players scored in this period with the biggest appreciation coming as the academy youngsters all scored with 16 yo James Jolly hitting the 100 point score on the buzzer as he finished a fine Rockets move. Adrian O’Sullivan had had ten minutes court time in his first game for 5 weeks hitting a brace of trebles in this period whilst Trae Pemberton delved deep to hit a pair of downtown trebles too. And Adrian Nosa sank a big treble moments before Academy youngster David Obediah scored to loud applause from the appreciative supporters. Though A J Carr yet again top scored for Rockets with 28 pts.,and 8 rebounds, it was the 16 yo David Chive who had his best game of the season to date as he scored 18 pts., took down 4 rebounds, made 5 steals and had 4 assists to complete an excellent performance. Sydney Donaldson hit 11 pts.,made 4 assists and 3 steals whilst Trae Pemberton hit 10 pts. Rockets stay in 7th place in the table but have 2 games in hand over the 4th and 5th placed teams so everything to play for in the final 7 weeks of the league season. 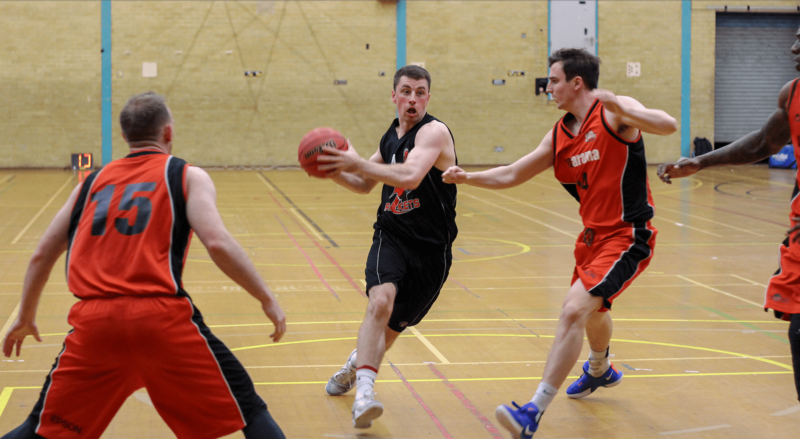 Coach Keane’s men were defeated 86-75 in NBL Division One Men v Solent and 85-69 in the National Trophy v Essex Leopards as their four game win streak came to an abrupt end. Captain Danny Carter is struggling with a back injury but still tried his hardest to secure a semi-final spot in the Trophy which now will be down to the last pool game in early January when Hemel Storm play Leopards. Depending on the result of that game, the pool is likely to be decided on points difference so it’s out of Rockets hands now. Rockets take on Barking Abbey Crusaders in NBL Division One Men on Sunday 2nd December, 5pm tip-off as they look to bounce back and maintain a push for a top four finish in this most competitive of leagues where it appears any team can take each other’s scalp on any weekend, other than maybe Solent who look down on all the other teams form their lofty perch in top spot and a 9-0 record. 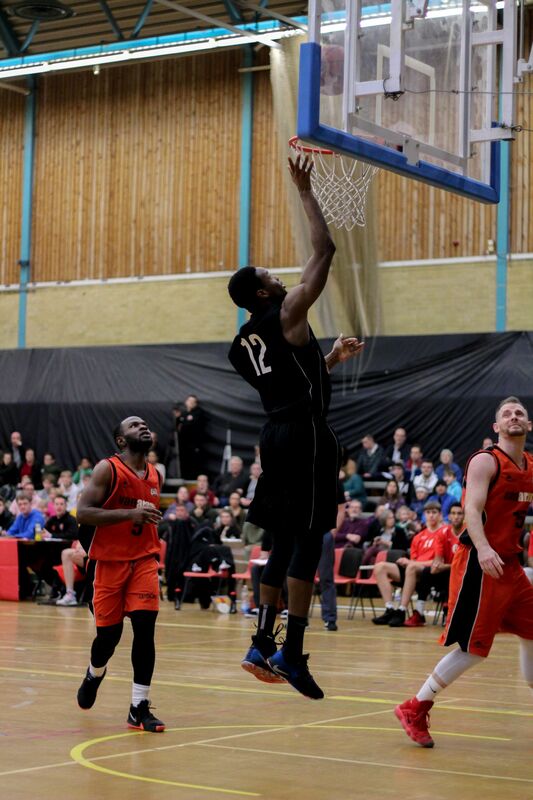 Reading Rockets are back on the road this week following an impressive run of form that has seen them move up into the top-six of the National Basketball League Division 1. Most recently, the Rockets powered to a 97 v 80 against Hemel Storm in front of a packed Rivermead crowd, extending their run of strong form. Adrian O’Sullivan was named NBL Division 1 Player of the Week following his contribution to the result. 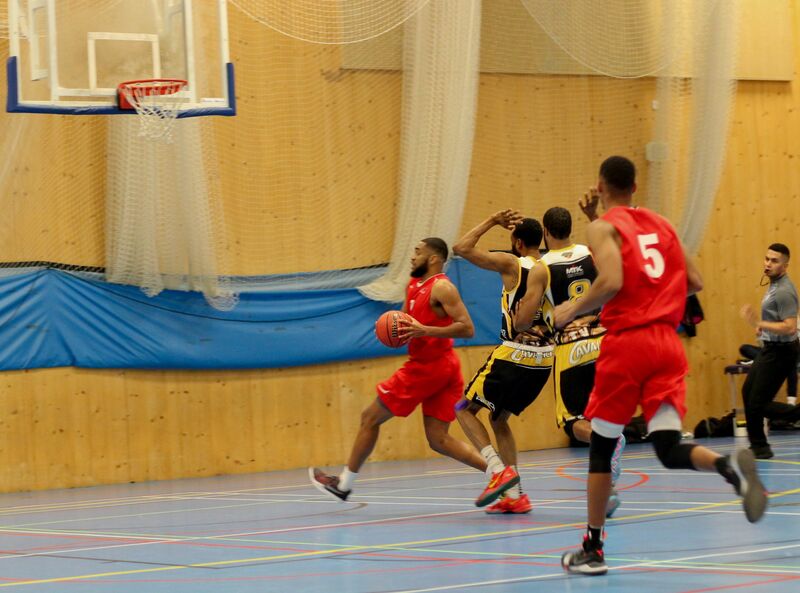 A tough challenge awaits the squad with a combination of NBL and National Trophy action this coming weekend. First up, on Saturday evening, the Rockets will face the unbeaten might of Solent Kestrels. The dominant league leaders, who have scored eight wins in eight, will offer a stern test for the young Rockets line-up. 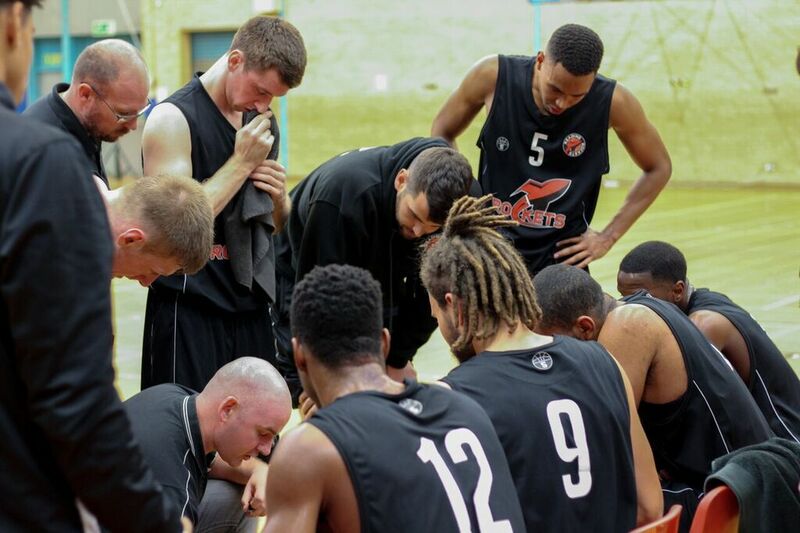 Rockets will need to conserve some energy for Sunday’s National Trophy game against Essex Leopards, who were triumphant 83-90 in a pre-season friendly. A win would see the Rockets take a semi-final slot in the Trophy and continue their 100% win rate in the pool stages. This fourth double-header of the season follows a weekend off for the team. Reading Rockets (15-7) will be looking to secure a top four finish in NBL Division One this weekend when they travel to the north for their final regular season games as they face rivals Team Northumbria (15-7) on Saturday afternoon (4pm tip-off) before matching up against the league’s basement team Lancashire Spinners (0-22) on Sunday afternoon (3.45pm tip-off). 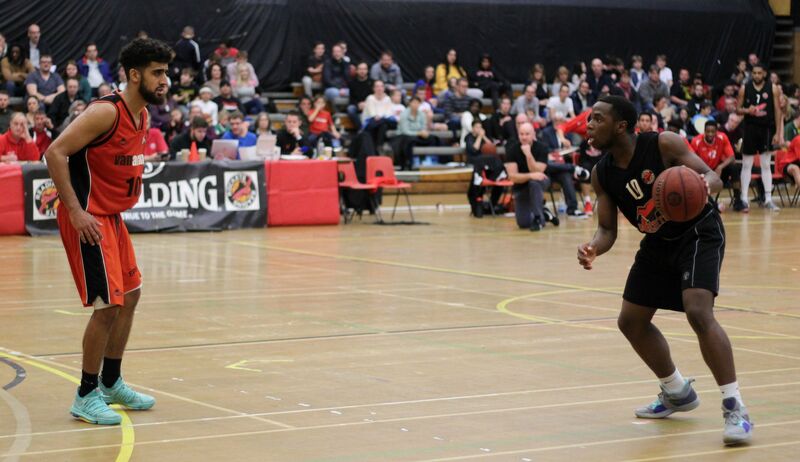 Rockets secured their seventh victory on the spin last weekend when they defeated league leaders Team Solent Kestrels, claiming a hard fought 78-66 victory to put themselves in contention for a third place finish. If Rockets finish the season with an equal number of wins as Northumbria and Worthing, they have the head to head over Worthing, who are currently fifth placed (14-=8). The Reading team would need to beat Lancashire Spinners on Sunday should Saturday’s affair not go their way to make sure of a top four finish and a home tie in the quarter-finals of the play-offs, scheduled for Sunday 8th April. Rockets have faced both opponents at home already this season in league play securing victories on each occasion. The Reading outfit captured an 84-72 win most recently over Team Northumbria and also comfortably beat Lancashire Spinners 107-67 back in January but face a tough final league double header this coming weekend. I am really happy with last weekend’s win against Solent and the players put in a much better performance than in some of our recent successes so this is very positive for us heading into this weekend’s tough double header. Defensively, we were a lot better but know that this can improve further with more work needed on offence for us to really maximise our potential. Whilst it is a positive time for us, it is important that we now focus on our game against a very good Team Northumbria this Saturday before we look ahead to Sunday. Sports Central has always been a difficult place to get a win and none more so this weekend with third place on the line for both teams. Preparation for this game will be crucial and if we are able to keep working on being the best version of ourselves and deliver what we know we are capable of then there is no reason why we can’t secure the all important win. We know the talent Coach Mark’s (Steutel, Team Northumbria Head Coach) roster has and there is no doubt he will have them ready to play as he has done so well in past end of seasons. An exciting time and we will be ready! Rockets go into this weekend’s crunch double header with no current injury concerns: however the Under 18 duo of Adrian Nosa Castillo and Iñigo Perez Baena both remain out of action with injury and games themselves. The Reading team could make it nine consecutive wins to finish their campaign and be a real threat in the play-offs as they look to pick up their first piece of silverware in almost four years.